Real Property Solutions mission is to facilitate a comprehensive, efficient and expedient process to meet the project goals and objectives focusing solely on the owner’s success. Whatever the task may be; due diligence, acquisition, re-positioning, development, leasing, management, stabilization or sale of a property, Real Property Solutions is ready to assist you in developing a solution to fit your unique needs. Real Property Solutions understands that every project needs a solid budget plan, with an obtainable schedule and the end result must be a quality product. Real Property Solutions understands that complex problems are just a maze of small problems, together creating a challenge that can and will be solved through a manageable process. Whether the challenge is understanding the marketplace for the end users’ needs, assembling a professional team, dealing with contractor or supplier deliverables, understanding insurance requirements, managing contracts, handling utility companies or complying with government regulations – Real Property Solutions is the answer. Real Property Solutions understands real estate by maintaining respect for the past, dealing with the reality of the present, and positioning you successfully to deal with the future. Real Property Solutions delivers results so that your real estate venture is successful. John C. Smyth founded Real Property Solutions (RPS) in 2004. As President of RPS, his first consulting assignment was to deliver numerous designed, engineered, permitted and budgeted construction packages. These packages consisted of a completed fast track; exterior, base building systems, common areas, tenant improvements and a mission critical data center for immediate occupancy. The landlord and tenant packages were completed in less than three (3) months so the tenant could occupy the premises on schedule. The next several projects included the renovation of a historical home in the Rittenhouse Square area of Philadelphia, creating labor harmony and technology upgrades for a new Center City restaurant, and completing business plans for several community organizations. Another early assignment was assisting a leading Philadelphia Charter School to determine if they should purchase a former school facility or to continue to lease. RPS assisted a developer to convert apartments to condominium units in the suburbs of Detroit, Michigan and created condominiums in the South Beach, Florida and Las Vegas, Nevada markets. Another client had RPS working closely with Wilmington, DE code officials allowing the developer to lease a high-rise building with small office suites. RPS worked in the Philadelphia suburbs with a development company assisting the corporate office in developing standard operating procedures and served as the Project Manager for several building renovations. Over the years, RPS has been involved with several condominium projects. The Rittenhouse Savoy retained RPS to develop a new fitness center and the project lenders for 1706 Rittenhouse utilized RPS for their due diligence. RPS has managed a Chestnut Hill College elevator modernization project, served as project manager overseeing building improvement at the Chelsea @ 1515 Locust, and evaluated operating and capital budgets for the Murano. Recently, RPS provided owner's consultation & property management for the sale & acquisition of the historic Public Ledger Building. RPS also provided project management and owner's representation for a large-scale data center move undertaken by Saul Ewing. Additionally, John is the Asset Manager for a leading Philadelphia telecommunications building. In his past experiences, between 1989 until 2004, John was employed by Amerimar Enterprises, Inc., where he held various positions, including Senior Vice President. Throughout his employment as a Partner, John served primarily as the Owner’s Representative for complex construction and renovation projects. In addition, he implemented building operations, capital improvements, and managed other Amerimar Managers in hotel, office, apartment buildings, and parking structure projects. 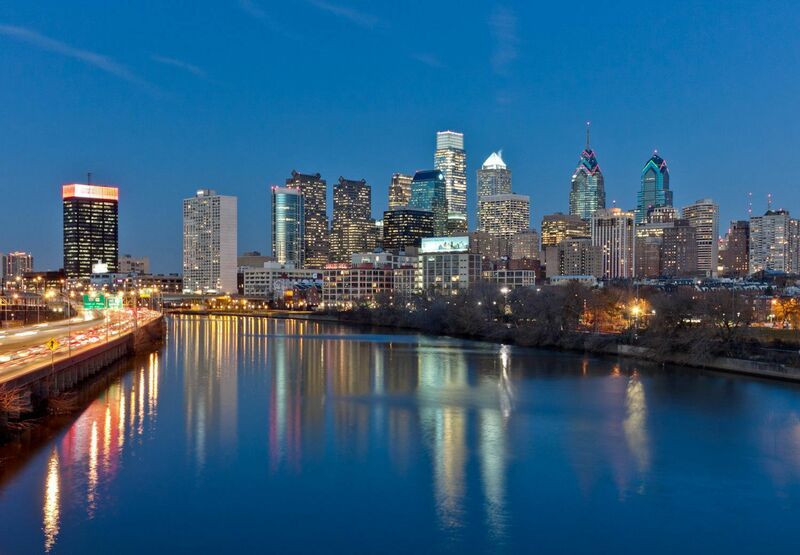 Prior to joining Amerimar Enterprises, Inc., John managed and renovated numerous properties for Buvermo/Fidelio Properties and the Wharton School of the University of Pennsylvania.